Should the law be changed to make sure the BBC does not lose out in the steadily changing world of digital viewing? The BBC demands that all distributors of digital TV give prime slots to BBC content – but why should they have this right? Splash headlines about the BBC are not unusual in the solidly conservative British newspaper, the Daily Telegraph. Usually, they are negative, or even hostile: the “Torygraph” (as friends as well as critics often dub it) views the BBC with suspicion and even hostility, as a bastion of liberal values, overpaid bureaucrats and EU-friendly programme makers. The banner headline on Monday March 20th – “BBC demands top billing in law” – was actually triggered by an article on the paper’s opinion page written by one of the BBC’s top executives, James Purnell, bearing the heading “British TV is being hidden by digital giants”, and the sub-heading “Netflix, Amazon and Sky are making home-grown programmes hard to find on their set-top boxes”. I don’t know if those headings were chosen by the Telegraph or Purnell, but – like much of the article – they were undoubtedly misleading. 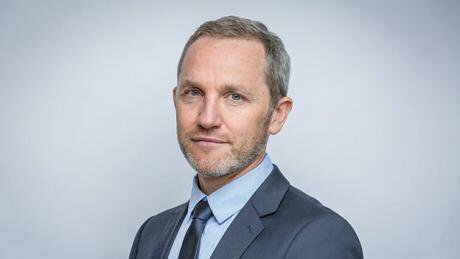 Purnell is currently the BBC’s Director of Radio and Education, well-positioned to succeed Lord Hall as Director-General: previously, he was the Director of Strategy and Digital, and a decade ago he was Labour’s Secretary of State for Culture, Media and Sport. James is a high flyer, and I have considerable respect for him. Even so, the campaign he was launching in the Telegraph struck me as symptomatic of the BBC’s occasional forays into political spin when the underlying facts offer very modest support. Essentially, Purnell was urging members of the House of Lords to support amendments to the Digital Economy Bill that would empower Ofcom to ensure that content from public service broadcasters – notably the BBC – would receive additional special prominence on all digital distribution platforms. Back in 2003, the BBC won a similar campaign to force digital platforms – essentially, Sky and the cable companies – to offer “due prominence” (that is, the first five slots) on their electronic programme guides (EPGs) to the five public service channels: BBC1, BBC2, ITV, Channel 4 and Channel 5. So what is the problem now? In early EPGs, the first 'screen' a viewer encountered when switching on simply listed all channels (with the five public service channels at the top), but more recent versions have a home page displaying a set of boxes, each containing viewing options. The top left box still lists all broadcast channels, but the other boxes offer genres, such as entertainment, sport, movies, news, kids, documentaries and so on, as well as catch-up and on-demand content; so the old 'due prominence' has been eroded to that extent. Purnell identifies a number of issues, but in a less than fully honest fashion. He praises the choice available to UK viewers, but of the ten programmes he name checks as part of his “golden age of television”, three are produced in the US (“Game of Thrones”, “Westworld” and “Stranger Things”) – which somewhat undermines his claim that “the UK’s broadcasting industry is the envy of the world”. Indeed, of the three BBC dramas he cites, one (“Poldark”) was a rather disappointing second series, another, “The Night Manager” (actually a co-production with a US cable service) undermined several excellent episodes with a clunker of a finale, and the third (series three of “Line of Duty”) managed the same trick, with a last episode of jaw-dropping absurdity. Just as disingenuously, he goes on to say that “spending on British television programmes has fallen. The biggest media companies are American. Netflix and Amazon Video are focused on global content.” This formulation carefully elides the fact that the steady and substantial decline in spending on UK originated content, for half of which the BBC is itself responsible (as Ofcom has laboriously demonstrated in a series of regular reports) long pre-dates the launch of Amazon Prime and Netflix in the UK. The implication that these on-demand services are somehow responsible for the fall borders on the dishonest. Purnell’s next beef is about the EPG slots for the BBC’s children’s channels, CBBC and CBeebies, on the Sky platform, “below 12 US cartoon networks”. What he omits to mention is that all the channels above the BBC in the “kids” section of the EPG are owned by Viacom, Disney or Warner, who launched their first services on satellite nearly 20 years before the BBC reluctantly joined them there, having finally recognized that dedicated children’s channels were the destination of first choice for kids who had choice. Indeed, for a while, Nickelodeon (majority owned by Viacom) was a BBC partner: and both Disney and Nickelodeon spend more on non-animation original children’s content every year than all the UK broadcasters combined. Indeed, it was not until the BBC itself evicted children’s programmes from its EPG-protected channels, BBC1 and BBC2, that BBC provision for children was fully relegated to the “kids” ghetto. If there is any anxiety that viewing of “safe, trusted, educational, British programmes without adverts” by our children is undermined by the Sky EPG, why not just restore the programmes to their previous home, on the protected services, BBC1 and BBC2, which between them dominate all UK viewing? During the passage of the 2003 Communications Act, the BBC had ample opportunity to persuade MPs that its planned children’s channels – and, indeed, its news and Parliament channels, as well as the services that later became BBC3 and BBC4 – should be granted the same EPG privileges as its main channels. It failed to do so, contenting itself with using the control of the dominant digital platform, Freeview, by the public service broadcasters, to do just that. In fact, Purnell never mentions Freeview in his article, and only the sharp-eyed will detect its omission in his use of the phrase “leading pay-TV platform” (my italics) to describe Sky. Given his silence over the placing of BBC News and BBC Parliament in slots 3 and 4 of the news section on the Sky EPG (behind Sky News and Bloomberg), perhaps we can deduce that legislation to force Sky to grant the BBC’s channels slots 1 and 2 in the news section is seen even by the BBC as possibly a touch of sledgehammer and nut. The most substantial of Purnell’s arguments is much more forward-looking: the perceived threat to consumption of public service content from the steady rise of on-demand viewing, as opposed to using linear channels. In truth, watching live TV still constitutes about 85% of all TV viewing, and catch-up – which is dominated by the public service broadcasters – accounts for another 7-8%. In other words, on-demand viewing of non-broadcast material constitutes a very small proportion of all viewing currently. The chances of Sky designing a new set-top box that its customers find less useful than previous versions is low: they spend millions on research to avoid just such an outcome. So the BBC will have to reconcile itself to a future pattern of programme search that is geared to the preferences of consumers rather than those of specific broadcasters. Purnell’s answer is to ask Parliament to force on-demand services to provide “due prominence” for public service catch-up offerings “like i-Player”. This “like” is another weaselly formulation, as the only catch-up service from the designated public service broadcasters (BBC, ITV1, Channel 4 and Five) that provides exclusively public service content is – the i-Player. The equivalent services from ITV, Channel 4 and Five all include an array of programmes that never appeared on their public service channels: content from ITV2, ITV3, ITV4, E4, More4, 5USA and so on that are nothing to do with public service television, including all the programmes acquired from abroad that are not even British (which is true of the i-Player, too). Why should any platform be forced to give these services “due prominence”? All these manipulations of the broadcasting system simply contrive to drive consumers away. The EU is pressurising services such as Netflix and Amazon Prime to commission more from within the EU, and both have begun doing so (they say it makes commercial sense to include locally made content in all the versions they launch overseas, so this pressure may be going with the grain). But the notion that they might be required to design a special home page in every territory in which they launch, giving prominence to catch-up services over which they have no control, and which may contain material that does even purport to be public service in nature, seems just the type of anti-consumer wheeze that only Broadcasting House could devise. Indeed, as Netflix and Amazon Prime do not actually make set-top boxes, and only offer as part of their service content which they have licensed, there is no question of “home-grown programmes being hard to find on their boxes”. One can only assume that a Telegraph sub-editor has simply misunderstood Purnell’s deliberately obscure article. Fortunately, the Culture Department has indicated that it has no interest in the type of amendments the BBC is urging, and the Digital Economy Bill is likely to pass with no such encumbrances. But that has never stopped the BBC asking.